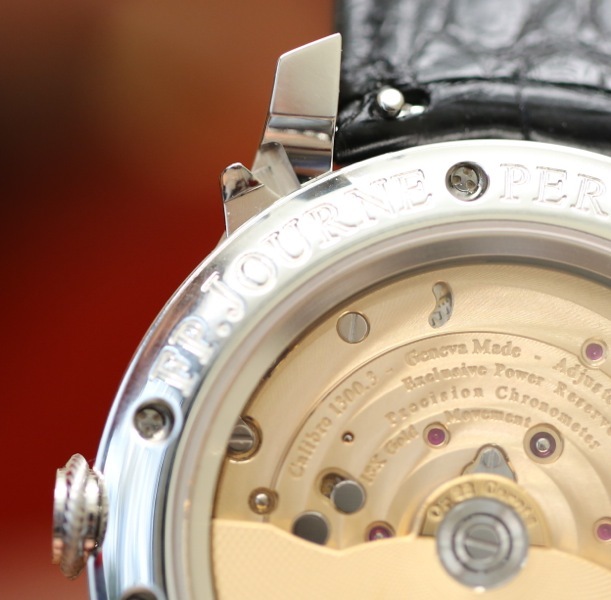 Montres Journe SA concluded their week long annual fair where collectors, dealers and the press were invited to discover the new Quantieme Perpetual with instantaneous jump. I was excited to see the watch in person and was really impressed. The Quantieme Perpetuel replaces the Octa Calendrier and will be available in platinum or rose gold in 40 or 42mm diameter. 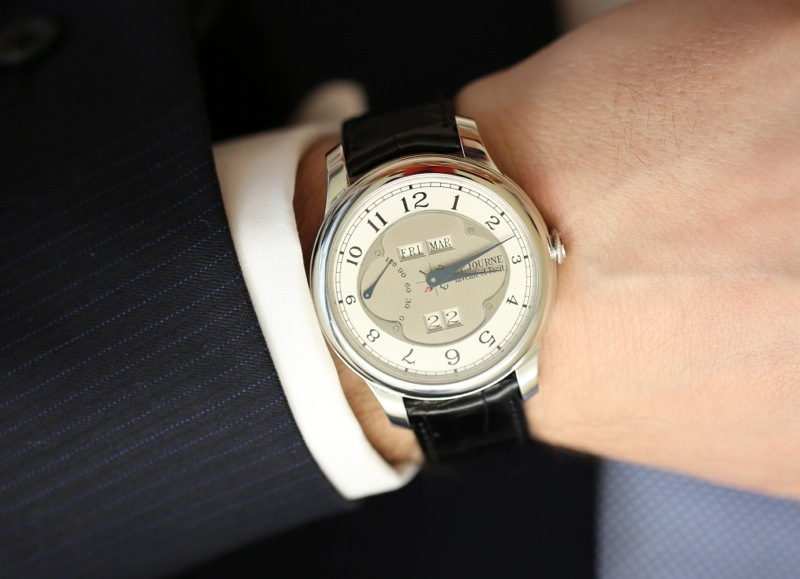 I was surprised that a 38mm will not be produced. I think it’s a good decision to slowly phase out models (most recently the Octa Chronograph) and replace them with new ones. From a collectors point of view it adds to their collectability. 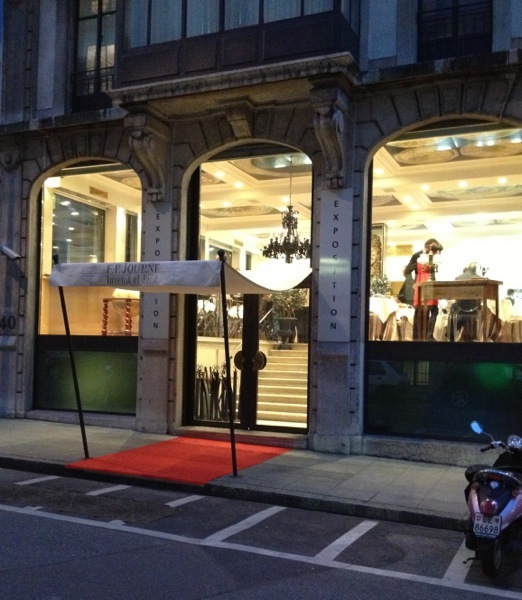 From a manufacturer view it helps concentrate watchmaker resources on the production of new models. 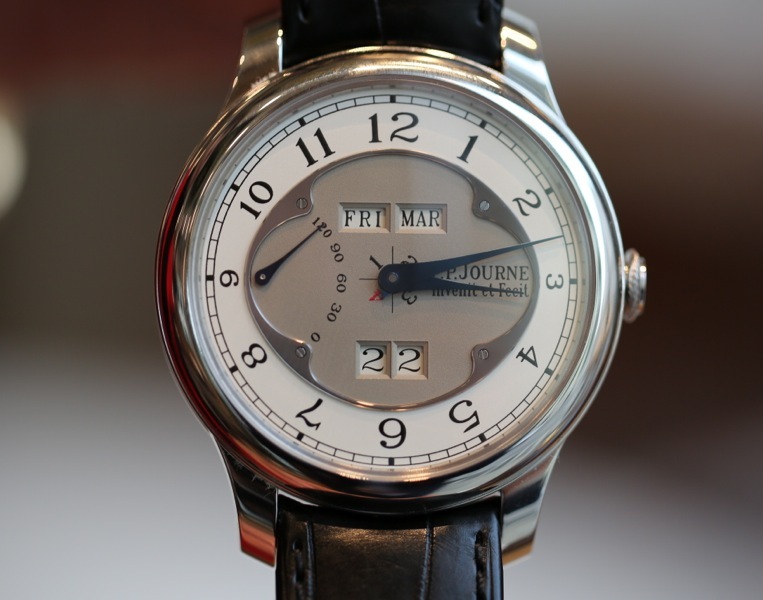 I’m told total production of all FP Journe watches has reached 900 pieces a year. 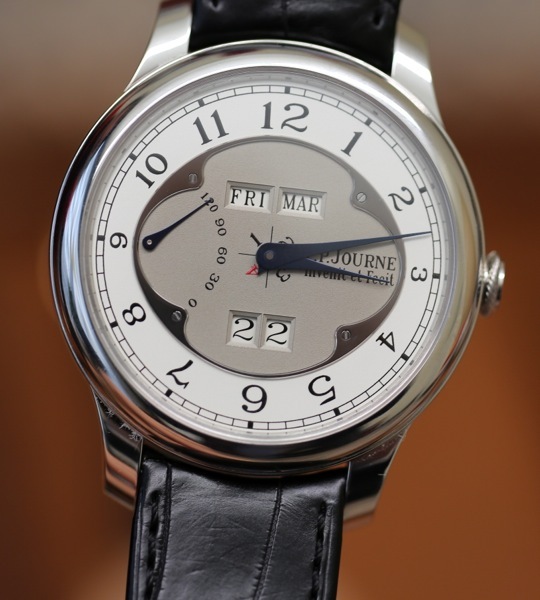 The design of the Quantieme Perpetual dial is refreshingly uncluttered with perfect readability. 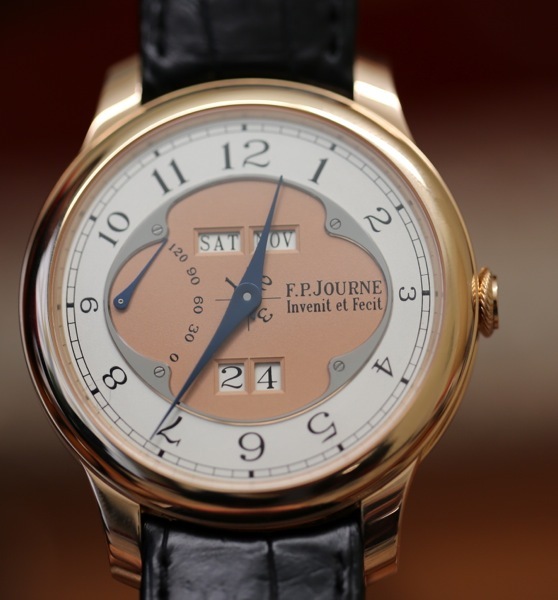 Journe has masterfully blended the distinctive features known to his watches into a new updated modern design. 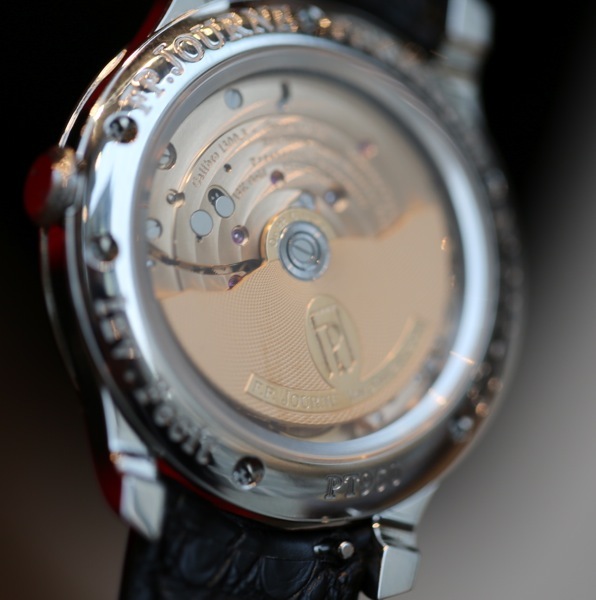 The dial is fixed by a steel circle with a silver chapter ring. There are two windows side by side for the day and month, a large date in two windows, and a leap year indicator in the center. 1, 2 and 3 are in black and 4 (for the leap year) in red. Also, included is a 120 hour power reserve indicator. 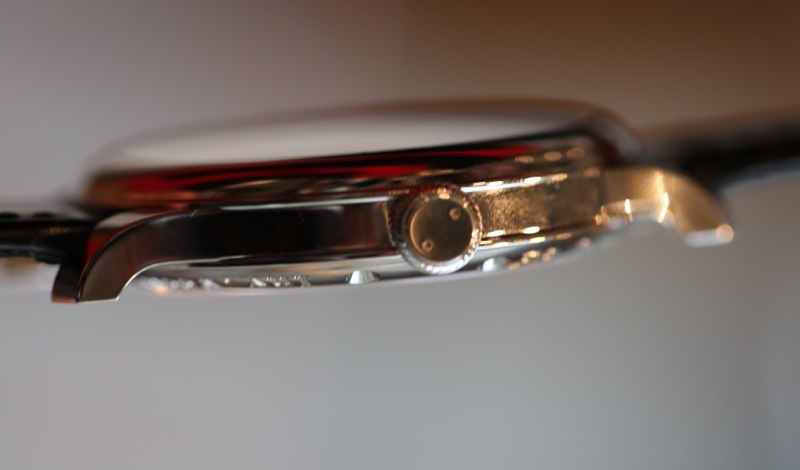 On the movement side you will notice the inner ring of the case is more angled then other Octa models. This adds to the larger size and one of the reasons it will not be offered in 38mm. You can see it more clearly in some of the later photos. While my personal preference is the platinum model the rose gold version is equally beautiful. 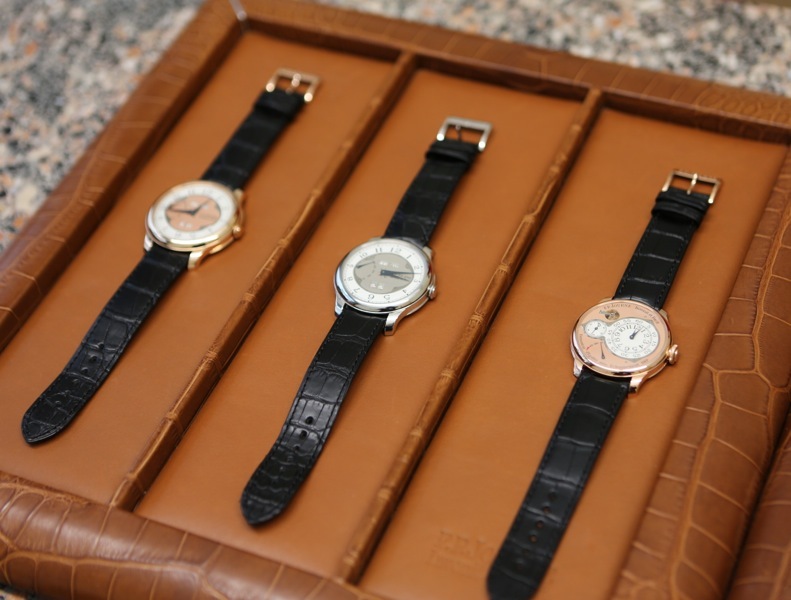 I especially love the combination of rose gold case and rose gold movement. 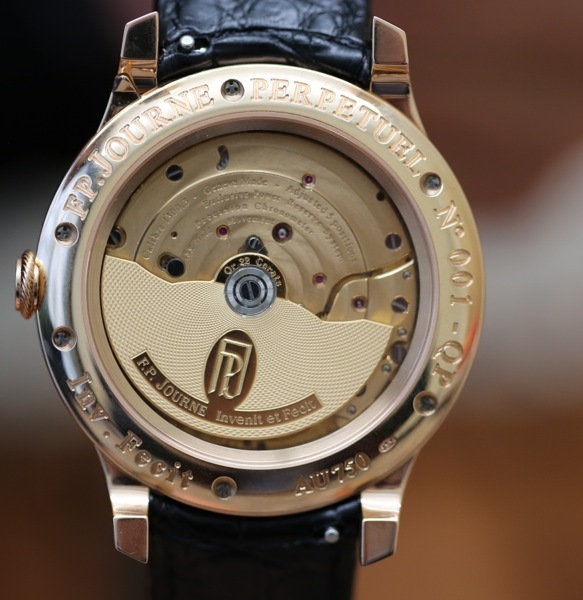 The movement is finished with circular graining on the base plate and circular Cotes de Geneve on the gold bridges are stunning. The screw heads are polished with chafered chamfered slots. 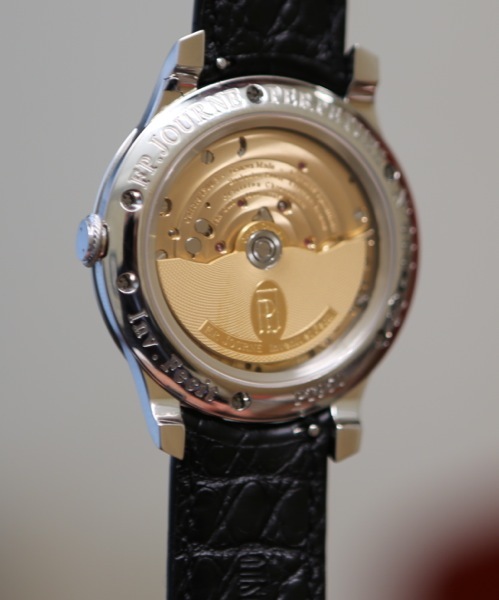 My favorite feature of all Octa’s is the off-centre 22k gold guilloche winding rotor. A quick flip of my wrist and I can hear it whizz around. Setting the time is incredibly easy and doesn’t require any special tools. All corrections are made using the three-position crown, except for the rapid correction of months, which is done by a protected and hidden corrector lever beneath the lug at 1 o’clock. I much prefer this new discreet corrector then the push button that sticks out on the case of the Titanium perpetual. The height of the case is 10.8mm slightly larger then the previous Octa Calendrier (10.6mm). As soon as I put it on the wrist I knew I would have trouble taking it off. Watching the instantaneous date change is very cool. The dial has some similarity to the Octa Divine. I like the shape of the chapter ring almost exploding out of the dial. The instantaneous jump comes from a newly designed system that helps to accumulate the right amount of energy to make the jump and the ability slow it down just after. The Quantieme Perpetuel is the ninth creation in the Octa collection and I have no doubt will become one of the most popular.